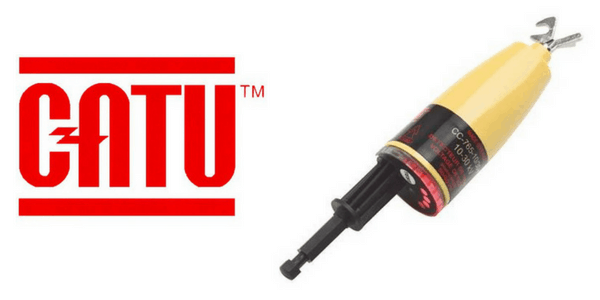 CATU medium voltage detectors are compact and light providing reliable voltage detection from 3.3kV to 33kV – compliant with IEC 61243-1 a standard applicable to portable medium voltage detectors. The MV detectors have a test button which after pressing a red LED flashes. A powerful audible signal is also omitted > 60 dB(A)/2 and when releasing the button the timed green LED lights up indicating that the voltage detector is in good working order. T&D stock and distribute the complete range of CATU Electrical Safety Equipment.